Raleigh/Cary, NC area triathlon coaching specialists. We offer personal coaching, online coaching and group training options for triathletes, runners and swimmers. All of our training programs are customized to your life and schedule. We provide feedback, support, encouragement, and stern warnings as need be along the way. 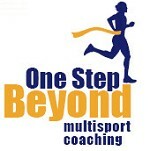 Check us out at www.osbmultisport.com. A full time triathlon coaching business since 2005. Marty Gaal has been working with athletes since the mid-1990s. Marty swam competitively through two years of college, then moved on to open water swims and triathlons. He has been coaching full time since 2005 and is a NSCA certified strength and conditioning specialist, USA Triathlon, USATF and ASCA coach. His athletes include USAT All-Americans, Boston Marathon qualifiers, Kona qualifiers, and complete newbies. He coaches on an ongoing basis ~30 athletes per season. Brianne Gaal has been coaching since 2006. She is a former division I runner and is a USAT, USATF and ASCA certified coach. Bri continues to compete in local road races and triathlons and is usually somewhere on or near the podium despite her full time finance job and Mom duties. Bri works with not more than 8 athletes per season. Daniel Scagnelli has been coaching since 2005. He holds an MS in Exercise Science and is a certified USA Triathlon coach. He is recognized as a Clinical Exercise Specialist (CES) by the American College of Sports Medicine (ACSM) and is a Certified Personal Trainer through the American Council on Exercise. Daniel works as a management professional in the fitness industry and coaches 2-5 athletes per season. Success. Coach Marty Gaal, CSCS has been notified of your message.